Open House will be held at 971 Jonathan St.
Additional Information on the 2 rental houses and 2 Lots will also be available at this time. TERMS: 15% (Fifteen) of the contract price or $500 which ever is greater, paid in escrow on auction day and balance due at closing within 30 days. Purchaser will be furnished a deed free and clear of any encumbrances with stamps. All properties sell “AS IS” with no warranties implied or expressed. Information in this ad was gathered from sources we believe to be reliable and accurate, however, the auctioneers do not guarantee said information and assumed no liability for errors or omissions in this listing. Further, the auctioneers do not guarantee exact square footage. If this is important to you, then please make arrangements prior to the auction to verify the square footage. Property will be sold subject to all zoning, easements and restrictions that may be applicable to this property. Announcements, made by the auctioneer at the auction take precedence over all prior printed and oral statements. Buyer pays for the survey, if applicable. Auctioneer/Broker represents the seller in this transaction. TERMS: 15% (Fifteen) of the contract price paid in escrow on auction day and balance due at closing within 30 days. Purchaser will be furnished a deed free and clear of any encumbrances with stamps. All properties sell “AS IS” with no warranties implied or expressed. Information in this ad was gathered from sources we believe to be reliable and accurate, however, the auctioneers do no guarantee said information and assume no liability for errors or omissions in this listing. Further, the auctioneers do no guarantee exact square footage. If this is important to you, then please make arrangements prior to the auction to verify the square footage. Property will be sold subject to all zoning, easements, and restrictions that may be applicable to this property. Announcements, made by the auctioneer at the auction take precedence over all prior printed and oral statements. Buyer pays for the survey, if applicable. Auctioneer/Broker represents the seller in this transaction. A beautiful brick home, 2470 +/- SQ Ft.
4 Bedrooms, 2.5 Bath, Living Room & Den, Formal Dining Room, Spacious Screened Porch, Carport, Storage Area, Large Landscaped Yard and much more!!! TERMS OF REAL ESTATE: TEN (10%) of contract price paid in escrow/Balance due within (30) days. Purchasers will be furnished a deed free and clear of any encumbrances with stamps. All property sells “AS IS WHERE IS” with no warranty implied or expressed. Auctioneers assume no liability for errors or omissions in this listing. Property will be sold subject to all easements to include highway, power lines, and etc., zoning and restrictions if applicable. Announcements made by auctioneer at the time of sale take precedence over printed matters. Buyers pay for survey. AUCTIONEERS NOTE: Seller discloses that due to the fact that residence was built prior to 1978 there may be the presence of lead-based paint in the residence; however the Seller has no knowledge of any lead-based paints or lead-based hazards in the home and has no report or records pertaining to the same. Prospective buyers have the right to inspect the property at their expense (10) days prior to the auction or to sign a waiver to forego the inspection. 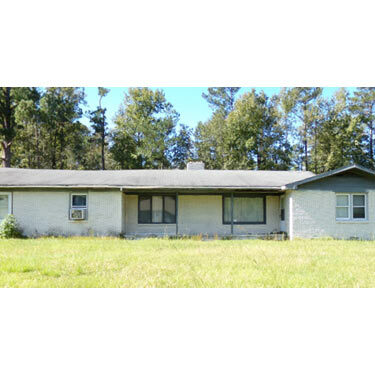 Auctioneer/Broker will represent the Sellers in this transaction. 7% BUYERS PREMIUM. Shores, featuring lovely and luxurious homes and lake. TERMS OF REAL ESTATE: FIFTEEN PERCENT FIFTEEN PERCENT (15%) of contract/purchase price paid in escrow. Balance due within thirty (30) days. Purchaser will be furnished a deed free and clear of any encumbrances with stamps. All property sells “AS IS WHERE IS” with no warranty implied or expressed. Auctioneers assume no liability for errors or omissions in this listing. Property will be sold subject to all easements to include highway, power lines, and etc., zoning and restrictions if applicable. Announcements made by the auctioneer at the time of the sale take precedence over printed matter. Buyers pay for survey. Auctioneer /Broker will represent the sellers in the transaction. Ten Percent (10%) Buyers Premium applies. A charming 1650 +/- sq. 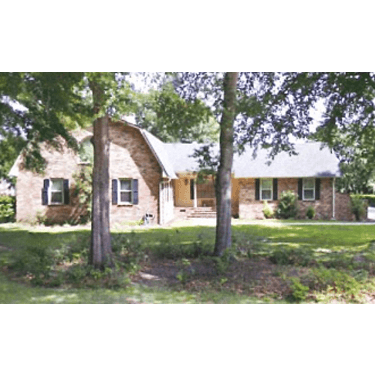 ft. home, 3 bedroom, 2 bath, formal dining room, fireplace, wood deck, fenced backyard, situated on a large, .7 acre lot in a desirable suburban neighborhood. We recommend all potential bidders to preview this lovely home at our scheduled OPEN HOUSE On Sunday, March 4th, 2pm to 4pm. Home can also be viewed anytime by appointment. TERMS OF PERSONAL PROPERTY: Everything sells AS IS and must be paid for in full sale day. TERMS OF REAL ESTATE: FIFTEEN PERCENT (15%) of contract/purchase price paid in escrow. Balance due within thirty (30) days. Purchaser will be furnished a deed free and clear of any encumbrances with stamps. All property sells “AS IS WHERE IS” with no warranty implied or expressed. Auctioneers assume no liability for errors or omissions in this listing. Property will be sold subject to all easements to include highway, power lines, and etc., zoning and restrictions if applicable. Announcements made by the auctioneer at the time of the sale take precedence of printed matter. Buyers pay for survey. Auctioneer/Broker will represent the sellers in the transaction. Ten Percent (10%) Buyers Premium applies. Commercial Building: 331 Tom Gasque Blvd. 1100+/- sq. ft., conference room, reception area, 4 offices and 2 baths. Suitable for Professional Offices or Retail. 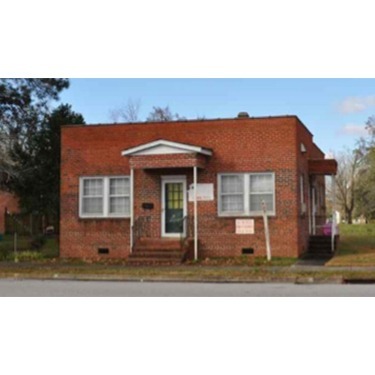 Ideal Location, one block off Main St., in high traffic area, with adequate parking. Good opportunity for downtown rental INVESTMENT. Shown by Appointment Only Contact The Auction Company to view this building. Terms: 10% (Ten) Buyers Premium Applies. 15% (Fifteen) of the contract price paid in escrow on auction day and balance due at closing within 30 days. Purchaser will be furnished a deed free and clear of any encumbrances with stamps. All properties sell “AS IS” with no warranties implied or expressed. Information in this ad was gathered from sources we believe to be reliable and accurate, however, the auctioneers do not guarantee said information and assume no liability for errors or omissions in this listing. Further, the auctioneers do not guarantee exact square footage. If this is important to you then please make arrangements prior to the auction to verify the square footage. Property will be sold subject to all zoning, easements, and restrictions that may be applicable to this property. Announcements ,made by the auctioneer at the auction take precedence over all prior printed and oral statements. Buyer pays for the survey, if applicable. Auctioneer/Broker represents the seller in this transaction. This home features 1725 +/- sq. ft. 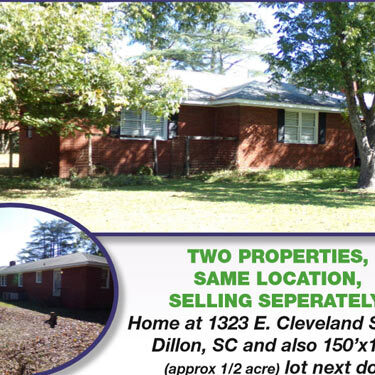 Brick Home, 3 Bedrooms, 2 Baths, Hardwood Floors, Fireplace, Cedar Closets, Screened Back Porch, Fenced Backyard and more. Home is in city limits close to downtown. Terms on Personal Property: TERMS: Cash, Local Checks accepted if per-approved by Auctioneer on auction day. Out of State checks accepted only with Bank Letter or Guarantee. Total purchase price due immediately following auction. Everything sold AS IS, WHERE IS subject to purchaser’s own inspection. Announcements at auction take precedence over any prior verbal or written material and additional terms & conditions may apply. 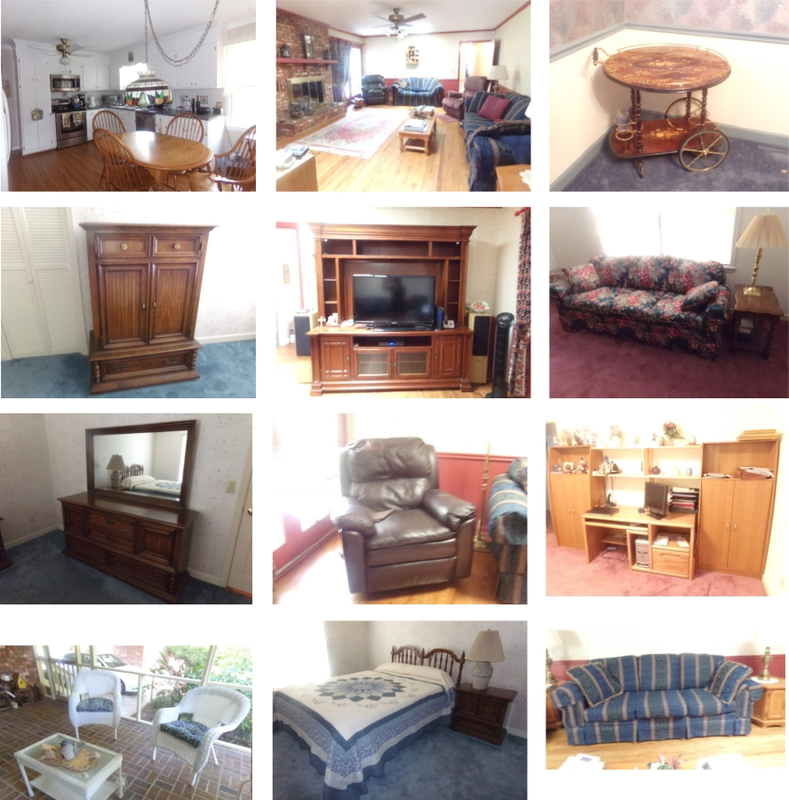 Auctioneers or Seller has right to add or delete items. NOTE: Auctioneers are only Selling Agents FOR THE SELLER and do not in themselves guarantee condition of or warranty any items. 10% Buyer Premium applies. 2550+/- sq. 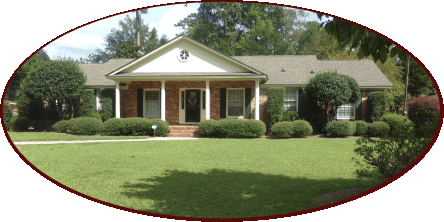 ft. nice brick home, 4 bedrooms, 3 baths, living room and den, 2 fireplaces, kitchenette and formal dining room, large multi-purpose room (sewing, crafts, office, reading room, etc). 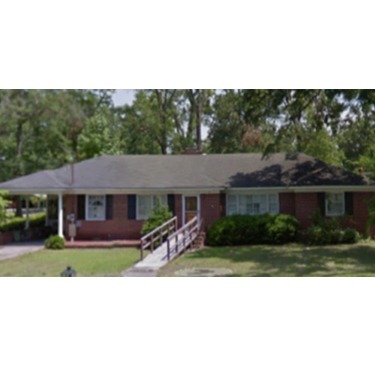 Mostly hardwood floors, central heat and air, detached equipment building, brick workshop and brick storage, all situated on a large landscaped lot with fenced backyard in a desirable neighborhood, clost to downtown and I-95. TERMS OF REAL ESTATE: FIFTEEN (15%) of contract price paid in escrow with the balance due within Thirty (30) days. Purchaser will be furnished a deed free and clear of any encumbrances with stamps. All property sells “AS IS WHERE IS” with no warranty implied or expressed. Auctioneers assume no liability for errors or omissions in this listing. Property will be sold subject to all easements to include highway, power lines, and etc., zoning and restrictions if applicable. Announcements made by auctioneer at the time of sale take precedence over printed matters. Buyers pay for survey. AUCTIONEERS NOTE: Seller discloses that due to the fact that residence was built prior to 1978 there may be the presence of lead-based paint in the residence; however the Seller has no knowledge of any lead-based paints or lead-based hazards in the home and has no report or records pertaining to the same. Prospective buyers have the right to inspect the property at their expense (10) days prior to the auction or to sign a waiver to forego the inspection. Auctioneer/Broker will represent the Sellers in the transaction. 10% BUYERS PREMIUM APPLIES. 2150+/- sq. ft. brick home built around 1978. 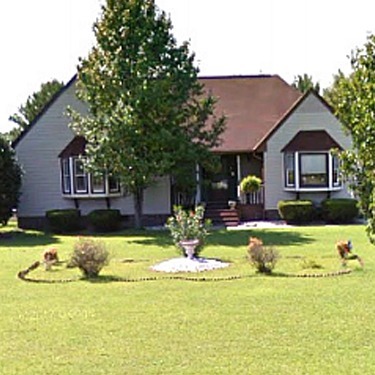 4 bedrooms, 3 baths, living room and den, 2 fireplaces, formal dining room, a large multi purpose room ideal for office, crafts or sewing, recreational room, nursery, etc., and a detached storage building, all located on a 1.2+/- acre landscaped lot, well with new filtration system. Directions from downtown: Follow auction signs. Take Main Street to Eastland Avenue. Take Eastland Ave. to Kindle Park Avenue, turn right. Take Kindle Park Ave. to King Street, turn left. Take King Street to Sherwood Street. Turn right to sale site. TERMS OF REAL ESTATE: FIFTEEN (15%) of contract price paid in escrow/Balance due within thirty (30) days. Purchaser will be furnished a deed free and clear of any encumbrances with stamps. All property sells “AS IS WHERE IS” with no warranty implied or expressed. Auctioneers assume no liability for errors or omissions in this listing. Property will be sold subject to all easements to include highway, power lines, and etc., zoning and restrictions if applicable. Announcements made by auctioneer at the time of sale take precedence over printed matters. Buyers pay for survey. AUCTIONEERS NOTE: Seller discloses that due to the fact that residence was built prior to 1978 there may be the presence of lead-based paint in the residence; however the Seller has no knowledge of any lead-based paints or lead-based hazards in the home and has no report or records pertaining to the same. Prospective buyers have the right to inspect the property at their expense (10) days prior to the auction or to sign a waiver to forego the inspection. Auctioneer/Broker will represent the Sellers in the transaction. 10% BUYERS PREMIUM APPLIES.